Since 1927 Altec Lansing has been connecting people to sound through their innovative speaker designs. 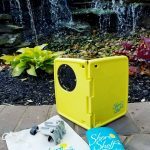 When 450,000 people packed a farmland in Woodstock, N.Y., Altec Lansing delivered the soundtrack and when moviegoers first heard actors’ voices, Altec Lansing made it happen. Anticipating the future, engineers worked with IBM and Apple to create the first computer speakers and docks for iPods and eventually iPhones. 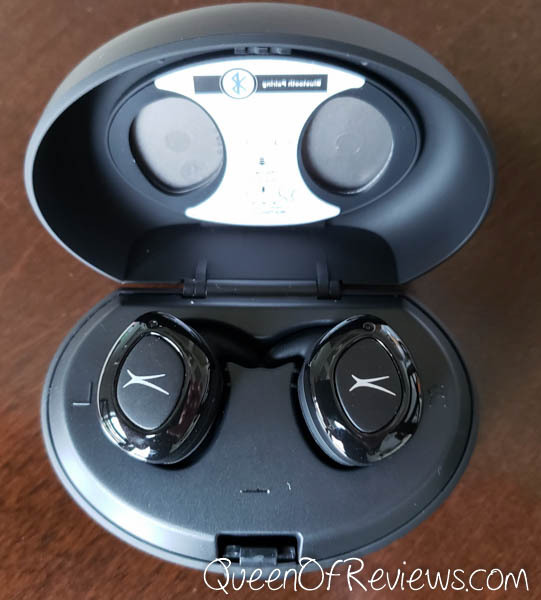 From sleek wireless systems that go where you go to headphones that make your music even more personal to speakers that keep your phone charged, so you never miss a beat, Altec Lansing is the true innovator. The new True Evo + Wireless Earbuds are absolutely amazing. Featuring 4 hours of battery life and a convenient carrying case to recharge your battery after every use. Receive up to 4 charges on the go; no need to worry when your case has lost battery, simply place your case on the included QI Charging pad and receive a boost in a flash! Charge up your phone or any Qi enabled device with the included Qi charging pad. Certified IPX6 waterproof rated, these earbuds can be immersed in water or handle the toughest workouts. Now featuring “Just Ask” with a quick tap, access your Siri or Google voice assistant via Bluetooth through your smartphone. The True Evo Wireless Earbuds provide a listening experience you will have to hear to believe! I love the design of the case and the builtin charging is a total game changer. 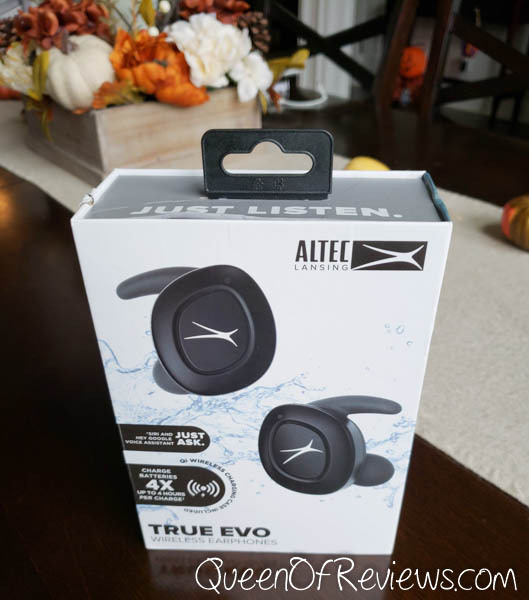 The Altec Lansing True Evo + Wireless Earbuds are sure to check off someone on your Christmas List this year. These can be purchased directly from AltecLansing.com as well as Amazon, pickup a pair or two today and be sure to show them some love on facebook, twitter, Instagram, YouTube and G+.